We have this James Alexander Malcolm MacKenzie Fraser-Scottish Outlander Costume from the hit TV Series. When you need Texas Scottish Festival & Highland Games Attire, come to our Full Line Costume Shop, Dallas Vintage Shop. Get your Scottish Highlander Outfits here before May 10-12, 2019 because it’s time to update & upgrade your Scottish Wardrobe before you dawn your Texas Scottish Festival & Highland Games Garb. 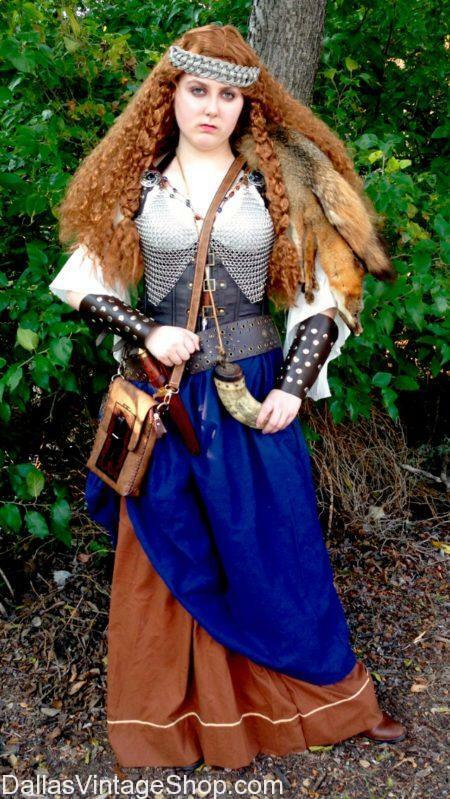 Texas Scottish Festival & Highland Games Attire: Costume Ideas by Dallas Vintage Shop: We Stock: Kilts, Scottish Attire, Sword Belts & Baldrics Weapons, Women Warrior Garb, Men’s Warrior Garb and Medieval Attire and tons more than you could possible imagine. We are the One Stop Shop for all your Texas Scottish Festival & Highland Games needs. We have all this lovely Texas Scottish Lassie all dressed up for the Texas Scottish Fest & Highland Games. This Scottish Fest Costume and many others like it are plentiful here. 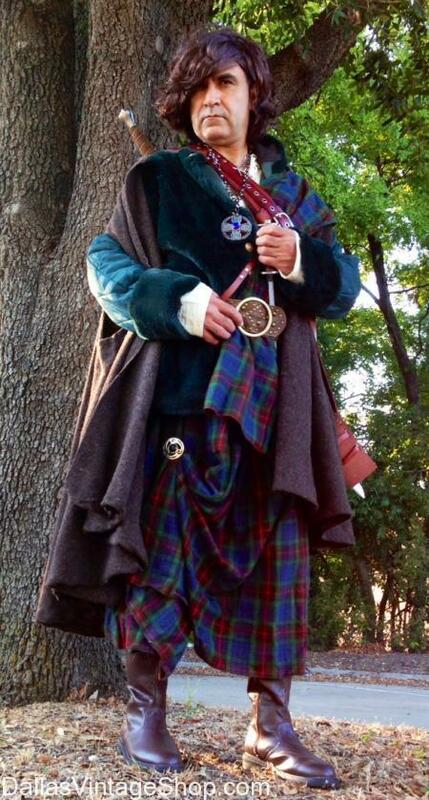 Get more Scottish Fest Period Attire & Scottish Highlander Costume Suggestions here. You will find that Dallas Vintage Shop has more than enough Texas Scottish Festival & Highland Games Outfits for all of Dallas, Decatur, DFW & the entire North Texas Area. Texas Scottish Fest & Highland Games Attire: Costume Ideas by Dallas Vintage Shop: We Stock: Kilts, Scottish Attire, Sword Belts & Baldrics Weapons, Women Warrior Garb, Men’s Warrior Garb and Medieval Attire and tons more than you could possible imagine. We are the One Stop Shop for all your Texas Scottish Festival & Highland Games needs. This William Wallace Scottish Highlander Outfit is perfect for the Texas Scottish Fest & Highland Games: May 10-12, 2019: at the Wise County Fairgrounds in Decatur TX. Dallas Vintage Shop has enough Texas Scottish Festival & Highland Games Costumes & Garb for all of Dallas, the DFW Area and the entire North Texas area. Texas Scottish Festival Attire: Costume Ideas by Dallas Vintage Shop: We Stock: Kilts, Scottish Attire, Sword Belts & Baldrics Weapons, Women Warrior Garb, Men’s Warrior Garb and Medieval Attire and tons more than you could possible imagine. We are the One Stop Shop for all your Texas Scottish Festival & Highland Games needs. We have Scottish Attire for Texas Scottish Fest & Highland Games: May 10-12, 2019, Wise County Fairgrounds, Decatur TX. Get this Scottish Celtic Hooded Cloak and other Scottish Costumes for Texas Scottish Festival & Highland Games. What will you wear to the 2019 Texas Scottish Festival & Highland Games? We have plenty of Scottish Ladies Outfits like this Rugged Scottish Highlander Woman Competitor Costume. The 2019 Texas Scottish Festival & Highland Games happens on May 10-12, 2019 and we have all the Adult & Kids Highlander Costumes to help you make your Texas Scottish Festival & Highland Games Attire unforgettable. Going to the Texas Scottish Festival & Highland Games: May 10-12, 2019, Wise County Fairgrounds? We have all the economy costumes or High quality garb you’ll need. You are in 2019 05/10-05/12 Texas Scottish Festival & Highland Games category.